You can depend on Siding & Windows Group to be your siding contractor Mount Prospect! 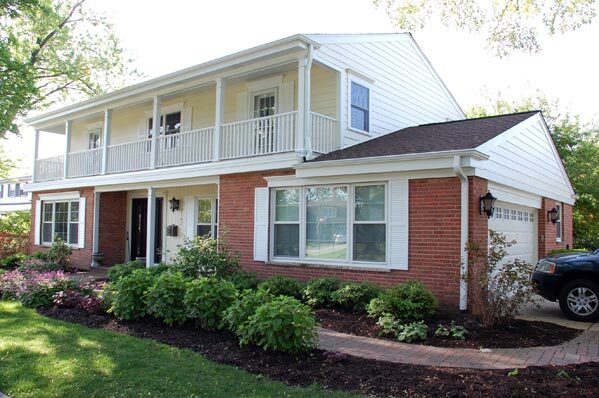 Siding & Windows Group is a siding contractor that’s proud to be part of Mount Prospect, and we’re committed to offering the premier quality siding materials with unmatched, exceptional customer service and professional installation. Our goal is to create quality work that sets the standard for other siding contractors in Mount Prospect! If you are looking for a siding contractor in Mount Prospect with a proven reputation, then Siding and Windows Group, is the siding contractor for you. We have expertly installation beautiful siding and windows on many home’s in Mount Prospect and surrounding areas. See our customer testimonials here. 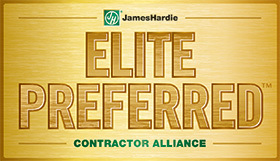 Siding & Windows Group is proud to serve the Mount Prospect area with Elite Preferred Contracting by James Hardie Siding. When you work with an Elite Preferred Contractor like Siding & Windows Group for your next siding job, you are guaranteeing a professional contractor with experience and care. James Hardie Siding is the #1 brand of siding build with many qualities you need in a reliable brand. This Fiber Cement siding is composed of cement, sand, and cellulose fiber; which gives it excellent sturdiness and stability. It is designed with top of the line ColorPlus technology, perfect for any house. James Hardie siding products will last much longer than wood or wood-based sidings. Fiber Cement siding by James Hardie is the most reliable brand in the contracting industry. With many benefits of building with James Hardie Siding, it is no wonder that it is the most popular siding brand in the Mount Prospect area. There is no other siding contractor more perfect for the job. Request a quote today! Above is the ‘After’ photograph of a siding job in Mount Prospect IL. Siding & Windows Group replaced the siding with stunning James Hardie lap siding. View this Mount Prospect siding project and other Chicagoland projects here. Siding & Windows Group is the premier siding contractor in Mount Prospect and we are known as a leader in the siding industry for originality, innovation, and architectural integrity for exterior design. Our work is praised by homeowners who enjoy a beautiful looking home, a lifetime siding warranty, and our ten-year labor warranty. You should be choosy when choosing a siding contractor in Mount Prospect! It pays to be choosy when selecting a Mount Prospect siding contractor. Residing your home is a big investment and a decision you’re likely to live with for a while, so choose wisely. We invite you to contact us to come out to your home and discuss your siding needs and for us to answer any questions you may have. Click here to receive a free consultation from Siding & Windows Group.